“In 1984, the first race that we had, we had to stop the red lantern in Carmacks because there was no snow or ice or anything,” she said. But it took dog teams considerably longer to travel the 1000 mile trail 30 years ago, so the red lantern was running later in the season. This year officials considered moving the start line 100 miles north to Braeburn, because of a lack of ice on both the Yukon and Tahkini Rivers near Whitehorse. But a cold snap over the last two weeks improved conditions. Mushers have plenty of anecdotal evidence for warming temperatures and its impact on their sport. Last year, Hank DeBruin relayed a story about how ice on the Yukon River gave way almost directly underneath his team in the middle of the night. “I was sleeping in my sled bag and I heard a roar, sounded like freight train,” he said. This year, Cody Strathe of Fairbanks says warmer temperatures and lacking snow have changed how he’s trained his team. 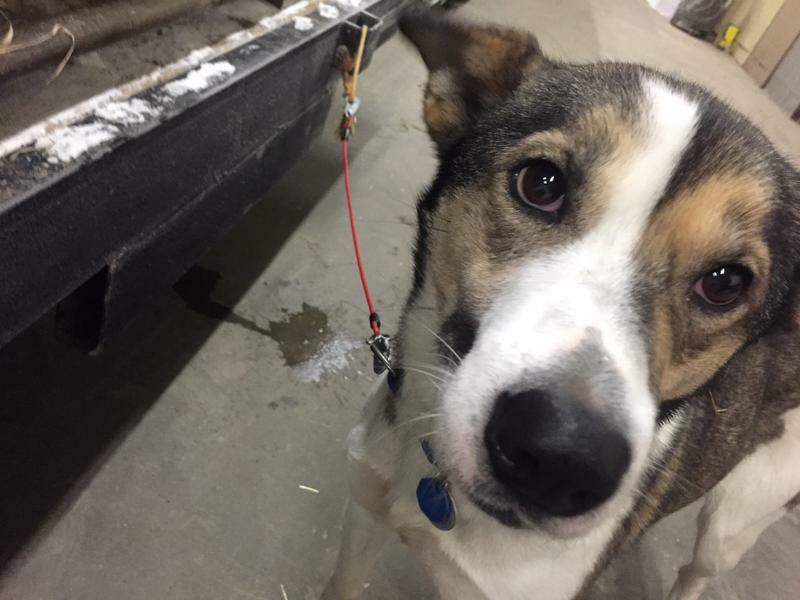 “Normally dogs like to run at cold temperatures like below zero, so we try to run more at night so they have those nice cold temperatures which they tend to like more with their nice big fur coats,” Strathe explained. Strathe also insulated all the bags that hold all the food he needs for himself and his team with bubble-wrap to help keep them frozen. Other mushers added blocks of ice or even snow. 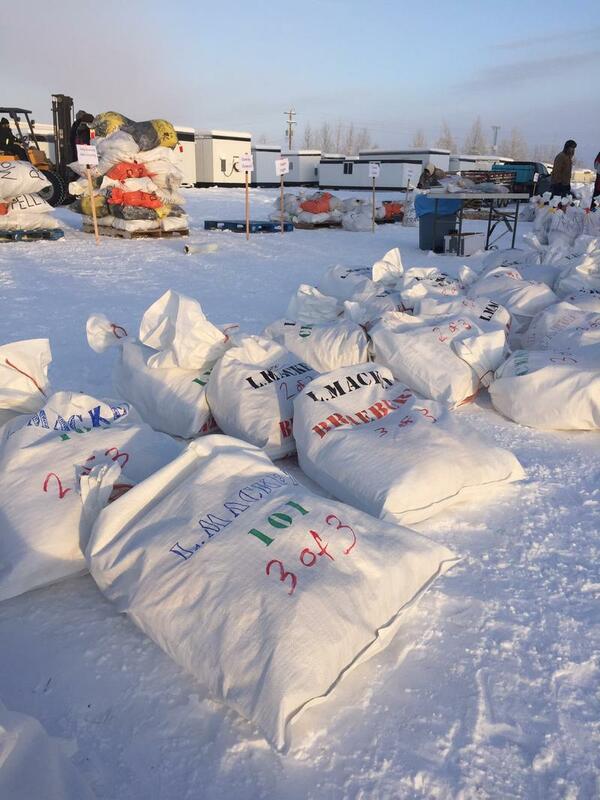 Mushers are also packing those drop bags for a wider variety of trail conditions. They’re even including rain gear. National Weather Service Climatologist Rick Thoman says there will come a day when climate change delivers a serious blow to Alaska’s state sport. “At some point in the future, we will reach a point where this starts to affect the ability to have these races. Whether it’s in five years or 50 years or 100 years, is an open question, but eventually it has to,” Thoman said. The race has felt the effects of that “noise” since the beginning. Alex Olesen is the Yukon Quest Race Manager. His father was also involved with the race back when it started. Olesen, now in his mid-30’s, says there were years when he was a kid when mushers’ drop bags actually did thaw out. “That’s a very distinctive memory out of my childhood is like all these food drop bags like dripping with salmon blood and juice and everything and we were like ‘uh, Dad we don’t want to help them, sorry,’ and he’s like ‘I understand, kid.’” Olesen said. He said there have always been a wide variety of weather-dependent contingency plans, but the race organization has recently had to implement them more often.